WELCOME TO BADLANDS! STRIKE FORCE BADLANDS REVIEW! Hey everyone, last month I finally managed to get a game in at Strike Force's new site 'Badlands' and here are my thoughts on the site! So Strike Force Badlands is situated in Abingdon, Oxfordshire at the former RAF Abingdon site now known as the Dalton Barracks. The site is 95 miles from my home in Derbyshire and takes around an hour and a half via the M42 and M40. It is a huge woodland site of varied terrain with 280 acres of total playable area. When the site isn't being used for BB wars it is used for off road driver and hostile environment training amongst other training exercises. The site is easy to find especially using a Sat Nav or Google maps as the postcode takes you directly outside the site and there is a friendly marshal outside on game days to welcome you and direct you to the gravel car park area. The gravel car park is fairly large with room for their average player count of 90. For a woodland site, it has excellent facilities - a lit, heated safe zone building with multiple rooms filled with tables, chairs, sofas, working toilets for both male and female players, an onsite shop and free tea and coffee throughout the day. Walk on is £30 and if you require a rental, the package is £45 which is in line with the average game day fee up and down the country. The price doesn't include lunch so it is advisable to bring a packed lunch but there are a few shops nearby including a McDonald's. 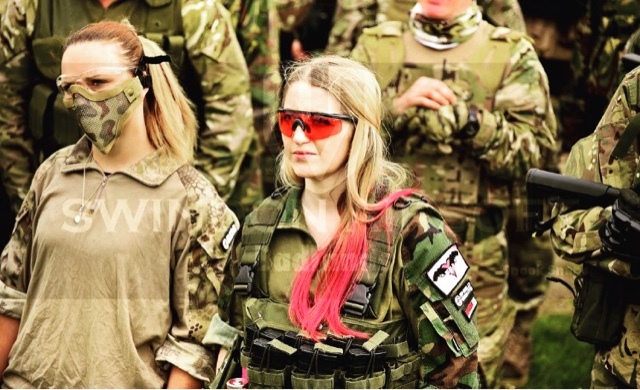 Bookings can be made either by calling Swindon Airsoft or via their website. Now the site staff are one of my favourite aspects of the Strike Force family of sites, the staff are really efficient when receiving players in the reception area, the safety brief is always comprehensive, it doesn't drag on for ages and is delivered by engaging marshals. The marshals and site owners run a tight ship and aren't afraid to have a laugh. 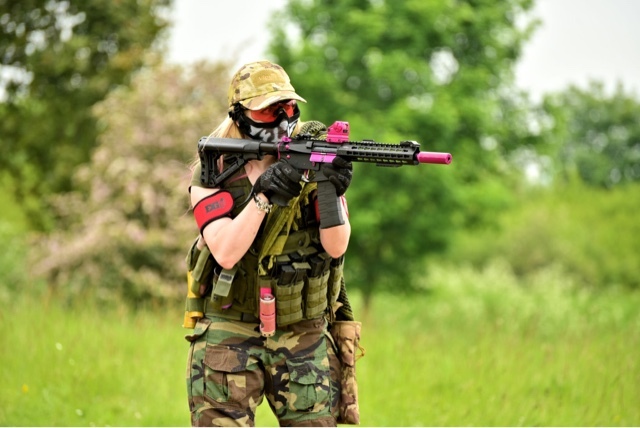 The other players I played with on my visit were an honest and friendly bunch, I didn't encounter any issues that day and I even got to meet and play alongside some of my awesome followers! The team currently utilise 140 acres of the total playable area which is more than enough. My favourite part of the site is the 'bunker' which is a structure of man made stone hills that create a more enclosed area to play in and gives me that CQB fix. The terrain varies from thick brambled woods, roads, the bunker hills, a body of water, long grass and wide open spaces so the gameplay is never the same. I spent most of my day crawling through woods and long grass to get some super sneaky kills. 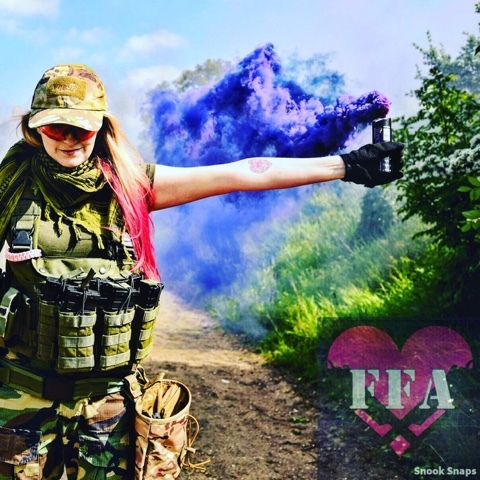 Although I'm a CQB player at heart, I do love a good run and gun in the great outdoors and this site is so big and varied that I didn't get bored. I had loads of fun crawling through brambles, into trenches, climbing hills etc. 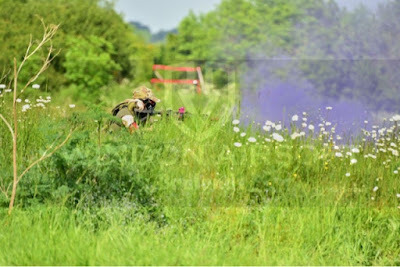 We played a varied set of games that appealed to everyone from team death matches to objective games like capture the flag that really get me into the game (CTF ended in a very intense firefight between myself and one of the sites owners Paul Bibby over a heavily overgrown embankment! All good fun! Overall, even though I'm not a huge fan of woodland sites, I was exceptionally impressed with Badlands. 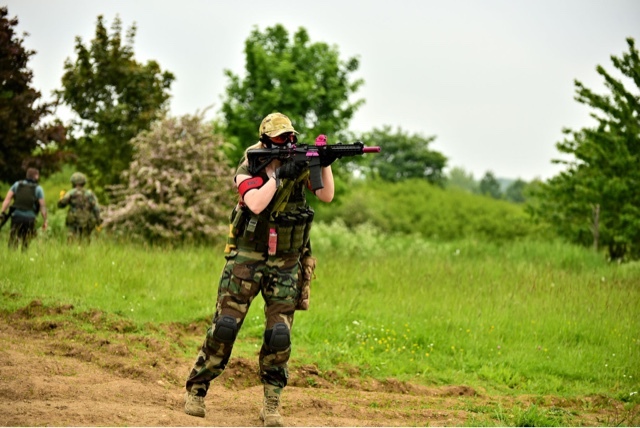 The safe zone is easily the best out of all the woodland sites I have been to and the site itself is varied enough to not become a drag (pure green, flat ground gets hella boring after a while) and the games have something to offer everyone. Well done team SF! Photos thanks to Snook Snaps.